The decorator, decorator and design enthusiast are always eager to implement and experiment with new ideas in this field by browsing sites about the same topic or searching for new images in search engines and social networks. 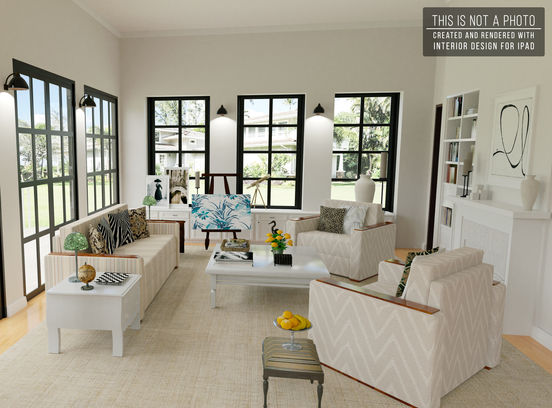 The Interior Design for iPad application provides a tool to complete designs for those interested, whether for interior or exterior decoration, modern furniture experience, design ideas and home tips. The application contains a task library for various purposes that you may need in your design, it offers many creative and exciting ideas, giving those interested in this area more inspiration. The purpose of this application is to help people who are changing their home décor, where they can preview a lot of ideas and designs before embarking on a change of decor.